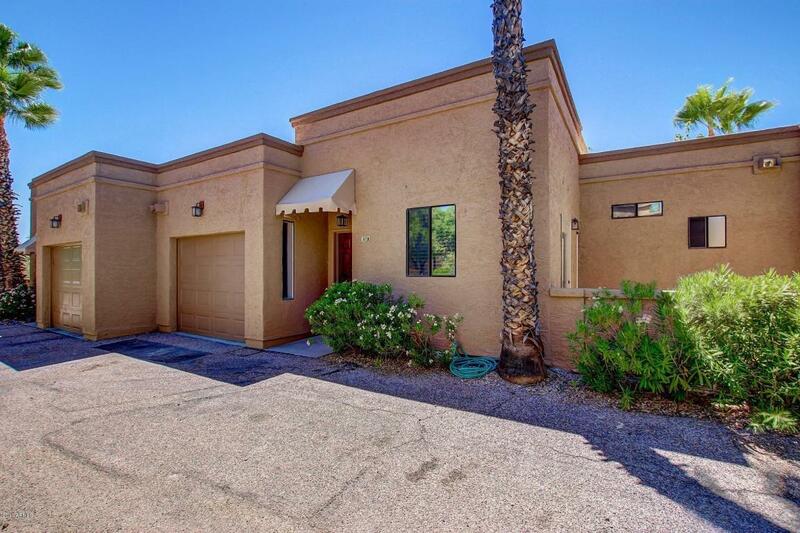 Totally remodeled townhome with amazing views makes this home a great investment property or just move right in! Beautiful sunsets & views of Black Mountain from your own private back patio. Home is completely updated with the best finishes including wood-plank tile, 6'' baseboards, & oil-rubbed bronze lighting & fans. Gorgeous new kitchen opens to great room & offers new cafe' shaker cabinetry, granite slab countertops, travertine backsplash, stainless steel appliances, & a built-in wine fridge. Both bathrooms have gorgeous custom travertine bath/shower surrounds, new vanities, & granite countertops. Spacious floorplan has 10' ceilings, 2 master bedrooms, 2 private patios, and a brand new electric fireplace with beautiful stone accents. Furnishings available! Must see!